Do you ever wonder what life looks like from your car’s perspective? The Waylens Horizon automotive can show you. 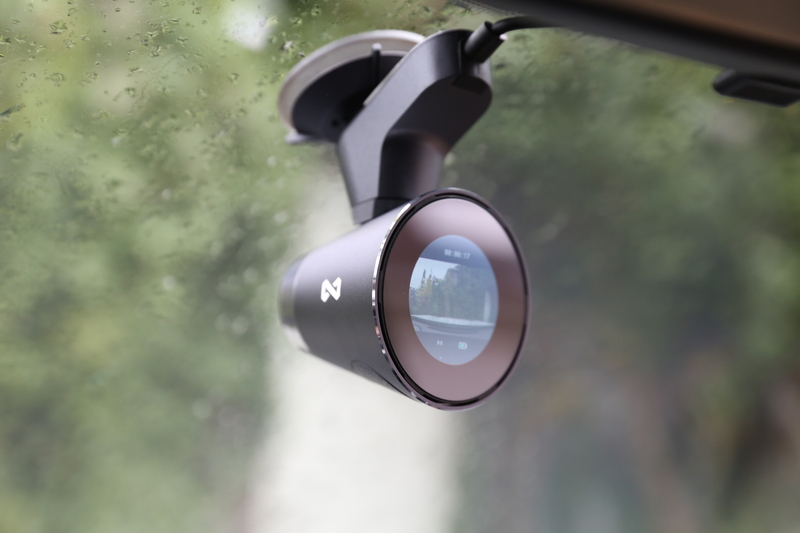 Dashcams are a dime a dozen, but the Horizon is designed to be more like an action camera specifically engineered for your car, including onboard sensors that capture data like speed and G-forces. But can it expand my horizons? The Waylens Horizon is essentially a conical, dense metal camera replete with optics, onboard processing power and battery. Mounting it isn’t as simple as using a dash top suction cup, since that’s not ideal for the capture angle. Instead, you use a stick-up mount, which connects to power via a micro USB cable, and which the Horizon plugs into via a dedicated, proprietary 5-point connector. 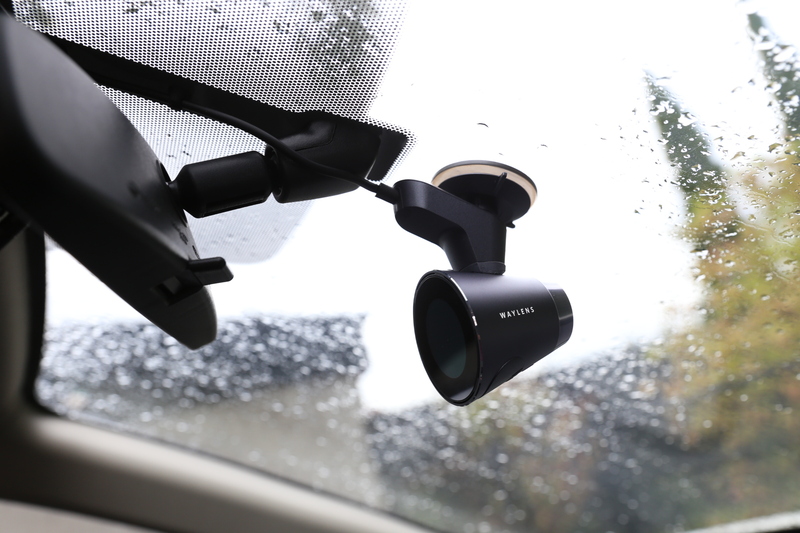 Installing the suction/stick mount was relatively easy, once I found the proper location, though I did have to re-seat it once just to make sure the array could clear my rear-view mirror when I adjusted the camera angle. My main issue was in properly feeding the included micro USB cable around the outside of my windshield and to the power sock. Waylens helpfully includes small cable guides with adhesive backs in the box, but these proved sub-par on the adhesive side, and consistently fall off the window. I can reseat them, but long-term users will want to figure out an alternate method to get that power cable more permanently out of the way. Still, there’s an onboard battery if you want to go wireless, but I’d recommend using the included cable if you’re going to be filming for any longer period of time. The other components of the system include a push-button remote, which lets you mark highlights in the stream for checking out later when you’re reviewing the video, and an OBD-II dongle that connects to your car’s insides to pull data including speed, RPM, and more – all of which can be used later to create video overlays with info on what your car was doing at the exact moment you captured your clips. You can connect the Waylens Horizon to your smartphone via the Waylens app, which requires that you join its dedicated wireless network at first to initiate setup. You can also connect the Waylens to your home WiFi for transferring media, and there’s desktop software that you can use to edit and share clips transferred from the camera either via USB or wirelessly. Editing in both desktop and smartphone apps is pretty simple, and is designed to make it easy for you to quickly find or create highlights, add overlays with real-time driving data, add a soundtrack and share to popular destinations, including YouTube. Waylens CMO Michael Schmidt explained in an interview that the idea was to make it possible for you to quickly share from the road, in between your runs. That’s also why the Horizon captures in multiple resolutions simultaneously, making it possible to quickly share a smaller video over a cellular connection, but save the full-quality feed for editing and use later at a desktop. The apps are well-designed, and work for the intend purpose of helping you share quickly and easily. It’d be nice to have some visual effect filter options, sort of like what you’d get from Instagram, but for the target market, Waylens has probably locked down all the real must-have features. Horizon’s design is great – clean lines, metal construction and a big (for the size of device), crystal clear OLED display, with a 286 ppi pixel density and a 10,000:1 contrast ratio make for clear visuals, even though this is just a very small screen overall. The camera itself is top-notch, as mentioned, and captures much crisper video than the GoPro Hero 4, which some might seem as a likely alternative to the using a dedicated car-based action camera. Schmidt says that the GoPro just wasn’t tailored to the needs of motorsports enthusiasts enough, hence the need for Waylens. Waylens also has GPS, a barometer, a 9-axis motion sensor and dual microphones, as well as that large sensor and a better on-board processor (1GHz ARM Cortex A9 CPU). It stabilizes as it records so you won’t have to worry about jitters or bumps making the video difficult to watch. Technically, it’s a very capable camera, and one that you find yourself wishing you could use elsewhere. Luckily, Schmidt told me that the plan is to create GoPro-accessory compatible mounts for the Horizon soon, as well as a waterproof housing, so that you can use the camera in more places, and on vehicles like ATVs and dirt bikes exposed to the elements. In terms of build quality, there’s really nothing out there in the dash cam or action camera space that matches the Horizon, in my experience. That does help justify the $499 asking price. A confession – the Waylens Horizon is not made for me. I drive a very boring vehicle (2013 Nissan Rogue), and I drive it very boringly. The Waylens Horizon is begging for someone to take it to a dirt track, or on an outback drifting excursion, or through an arctic survival sprint. It’s even better-suited to someone who switches lanes with a bit more abandon than most. Still, despite my general policy of using my car as a means of transportation first and foremost, I do enjoy driving – and I enjoyed driving more with the Waylens camera. I captured highlights of things that might be boring for others, like going under overpasses as you can see in the clip above, and when I was riding behind a Tesla for an extended period (I thought of the Horizon as my envy-cam while I was doing this). The resulting videos aren’t thrill-a-minute adrenaline arousing clips, but they are fun to watch, at least for me, and I could easily see myself incorporating footage from the Waylens into travel diary video projects. Action may be the Horizon’s forte, but it also does surprisingly well with rest, reflection and repose. In the end, a dedicated action camera for the car is an enthusiast-only device at $500, but Waylens has nailed its intended purpose with a camera that delivers great results consistently, and makes editing even longer streams a snap thanks to the included Bluetooth LE highlight remote and multiple editing and sharing options.